Almost Time – 8 year-old, 16.1hh BC bred gelding sired by Finality out of Vainglorious by Cutlass Reality. Almost Time had 24 starts including 10 wins and earnings of over $360,000. AT was trained by Keelly Reggelson of Armstrong, BC. Lend Me an Ear – 12-year old, 16.2hh BC bred gelding by Humpty’s Hoedown out of Golden Degree by Golden Reserve. He had 45 starts and earnings of over $71,000. 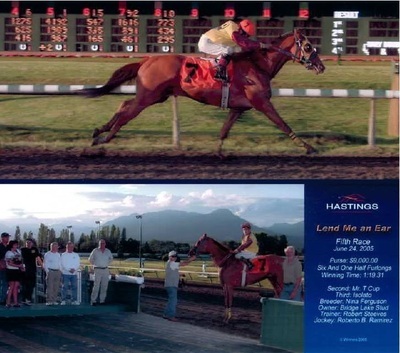 Lend Me an Ear was trained by Alicia Harper of Mission, BC. 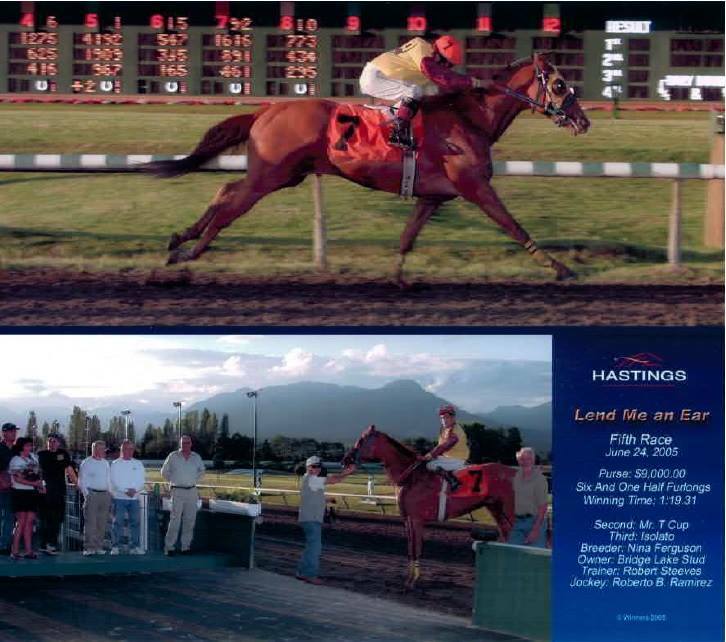 Remembering When – 5 year-old, 16hh BC bred mare sired by Sungold out of Down Memory Lane by Maudlin. She has 15 starts under her belt. Remembering When was trained by Estelle Baker of Vancouver, BC. 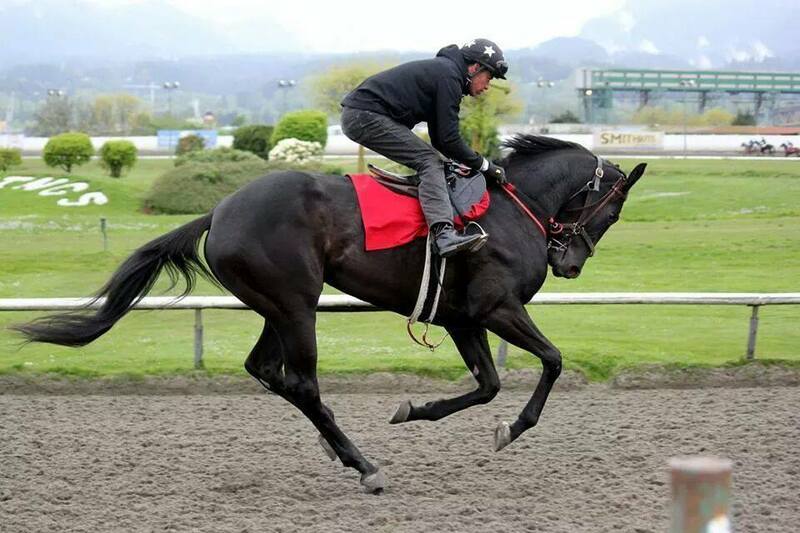 Svana – 3 year-old, 16.2hh BC bred filly sired by Alybro out of Hansa by Travelling Victor. 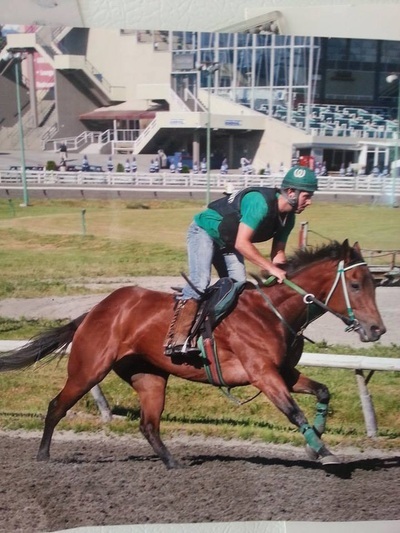 Svana was trained by Margaret Woloschuk of Ladner, BC. Trick of the North – 13-year old, 17.1hh BC bred gelding sired by Western Trick out of Remarkable Gal by Regal Remark. 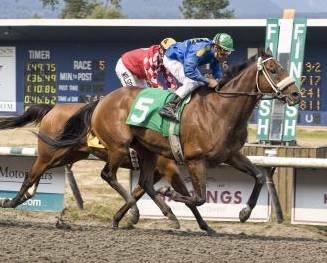 Trick of the North had 74 starts and is a Grade 3 stakes winner with earnings of $460,000. 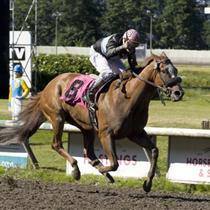 Trick was trained by Rayme McMahon of Langley, BC.